The Arafura, a container ship that sails from Australia to South Korea and back, was tested with Green Plus for both fuel economy and emissions. 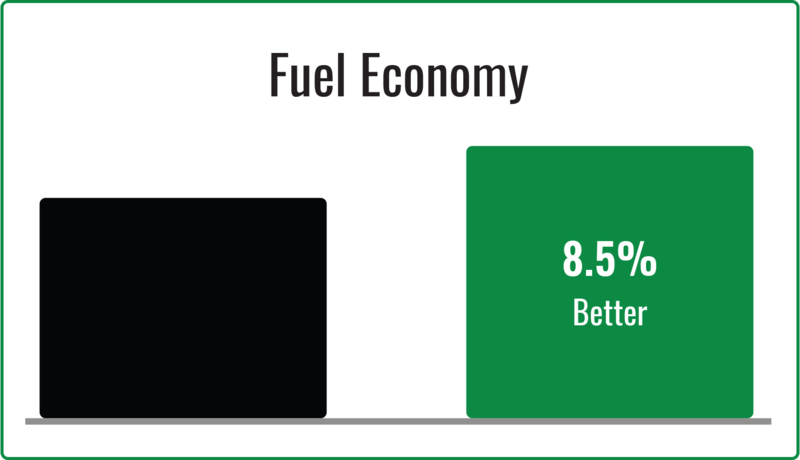 The results of this test showed that Green Plus improved the economy of the container ship by 8.5%. 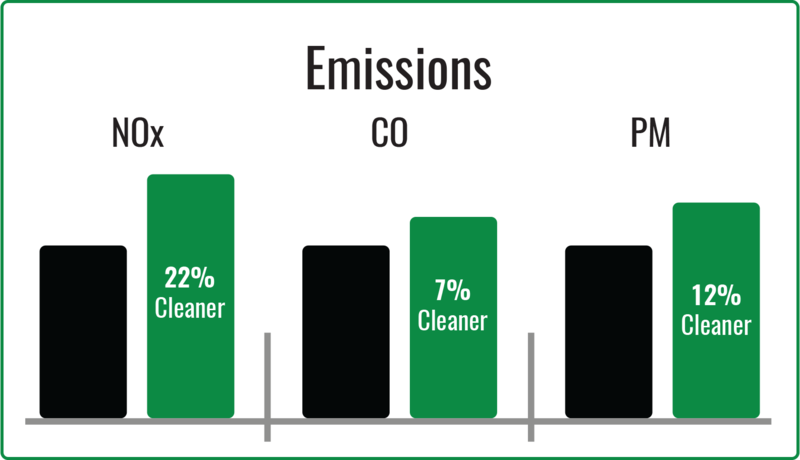 The results also showed that not only did Green Plus improve the NOx, Carbon Monoxide and Particulate Matter emissions of the ship, but while Green Plus was present, Arafura maintained the same output of Sulfur Dioxide emissions, despite using a fuel with almost 40% more sulfur. Green Plus was added to four Unicom Management tanker ships to determine its effect on fuel economy and emissions. 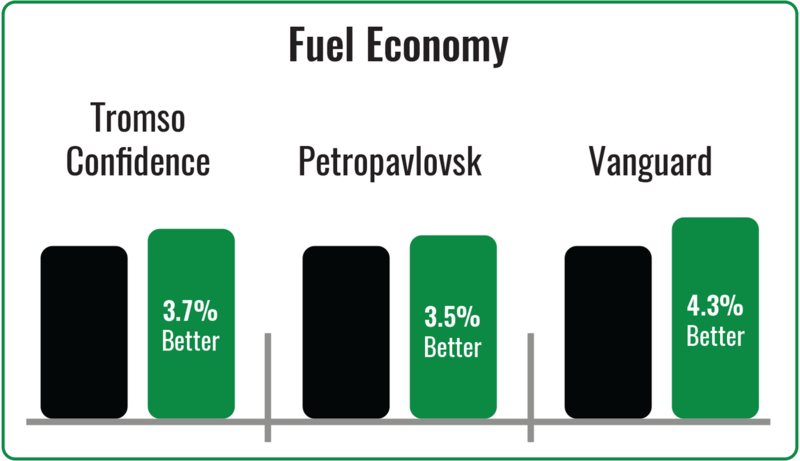 Three vessels, the Vanguard, Tromso Confidence and Petropavlovsk, were tested for fuel economy and showed a boost of over 3.45%. The fourth ship, Bering Sea was tested extensively for both maintenance and emissions and showed a significant improvement across the board. The charts below show the details of a test performed for Coca-Cola in one of their fuel oil boilers in Cyprus. The test lasted a period of two days and the results were impressive. 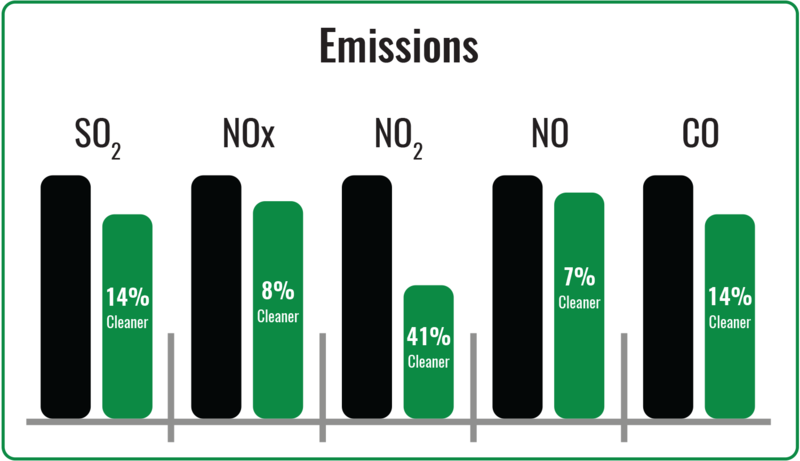 NOx, the major ingredient in the formation of smog was reduced by 17.58%. SO₂, the main ingredient in the formation of acid rain, was reduced by 17.58% and the boiler’s fuel economy was improved by 7.5%. Green Plus was also tested in two fuel oil boilers in a milk-processing plant. 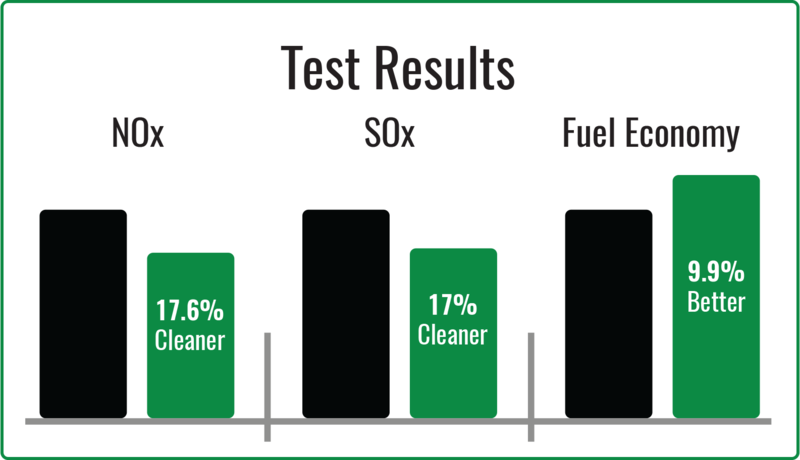 This test lasted five days and resulted in SO2 reductions of 23% and NOx reductions of 14%. 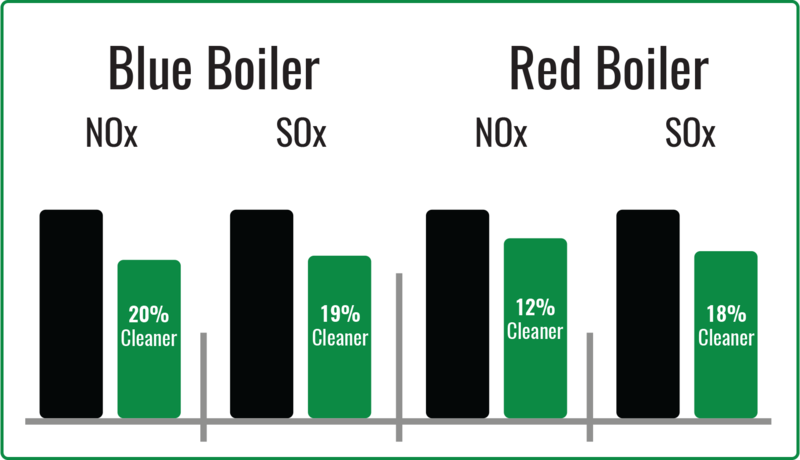 Furthermore, fuel economy was improved in these boilers by an average of 8%. Some charts showing the results of this test are below.